Are you a fan of green beans? Not from the can, but freshly picked green beans? I have so many fond memories of sitting on my grandma’s front porch and snapping freshly picked green beans. 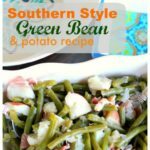 The season is here, so we have been snapping beans left and right at my house, and I thought I would share with you my Southern Style Green Bean recipe. 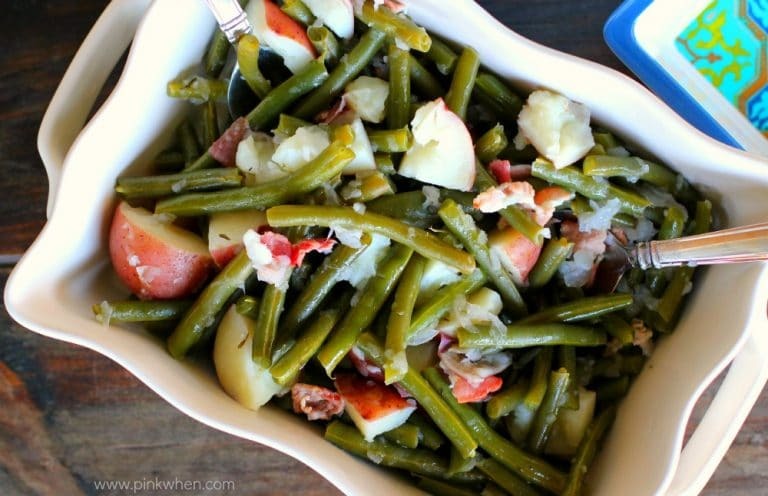 This isn’t your plain jane green beans, this is AH-mazing! 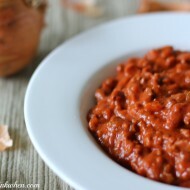 You need just a few things on hand for this recipe, and once you make this, you probably won’t go back to regular canned beans again. In a medium pot on medium heat, melt butter and then place the bacon pieces into the pot. Allow to cook for a couple of minutes and then add in the onion, thyme, and parsley. Allow to cook for 10 minutes, stirring frequently. Add in the green beans and the quartered new potatoes and then cover with water and turn the heat up until they come to a boil. Once they start a small boil, turn the heat down to a simmer and cover. Cook for 20 minutes covered, stirring occasionally. 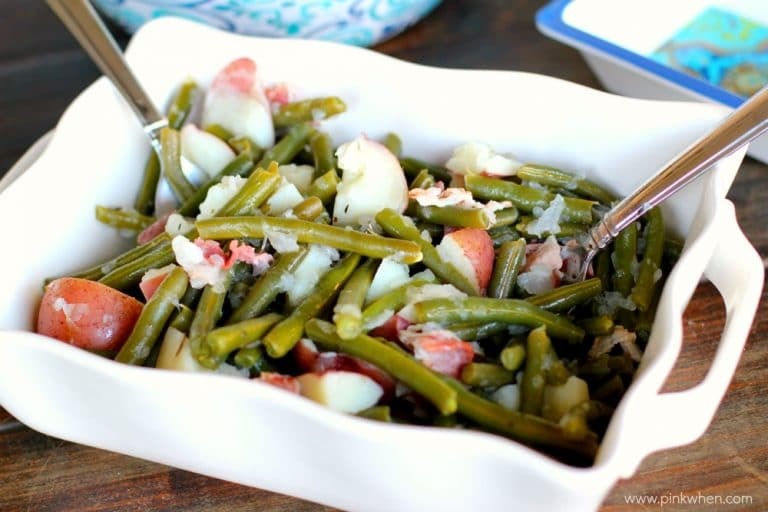 A delicious southern-style side dish of green beans, and new potatoes. 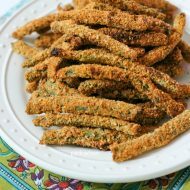 These are really so good, and one of my all time favorite ways to add a little flavor and change up regular old green beans to something delicious. Not only that, but my youngest is having a blast sitting at the table these days and snapping green beans the same way I did 30 years ago on my grandmothers front porch. 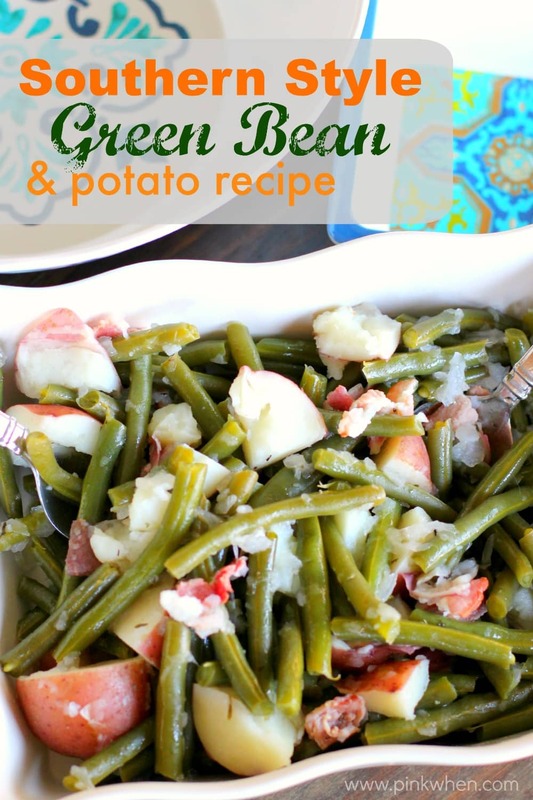 If you have never tried this Southern Style Green Bean recipe before, go out and grab some fresh beans and make it a fun, new family tradition. I promise you will love them. Seriously, these have my mouth watering. I love fresh green beans. My dad use to plant acreages of green beans when I was a kid. He still plant them…just not as many. 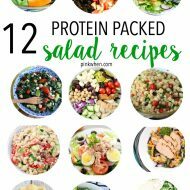 These looks so delicious. Thanks so much for sharing your recipe.